Jonah and Scottie Simmons are baptised! What a joy to see family and friends gather to witness the baptism of their loved ones. 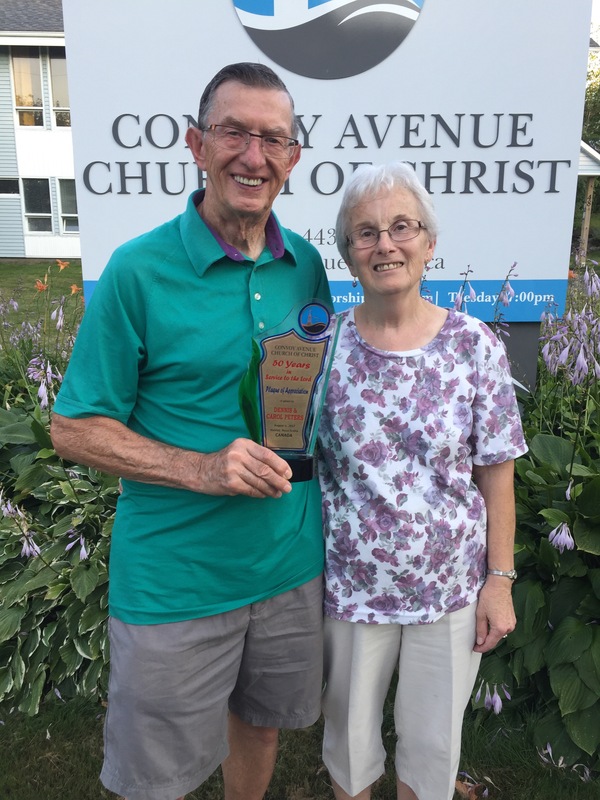 The Convoy Church of Christ family had the blessing of witnessing Jonah and Scottie Simmons giving their lives to the Lord on the evening of Tuesday 15th August,2017. Here are some pictures and a video from the occasion. 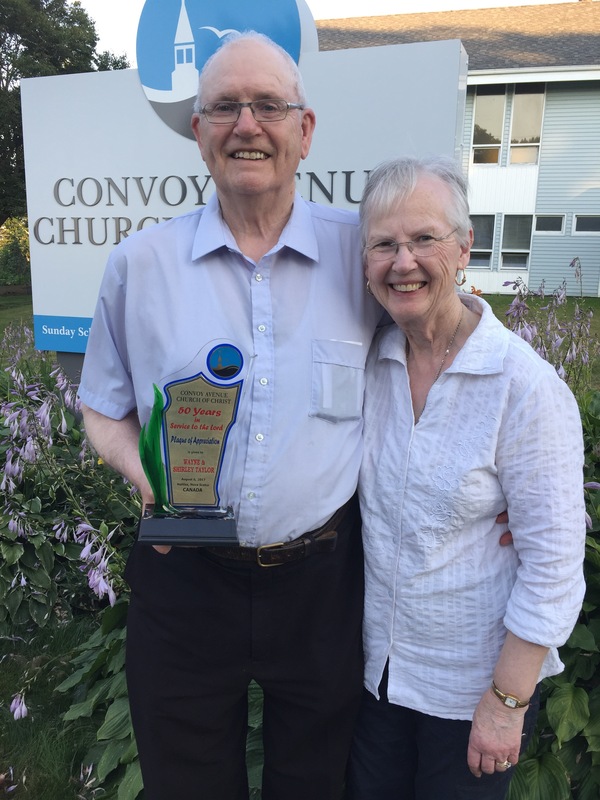 The Convoy Avenue Church of Christ kicked off their 2017 Gospel Meeting by honouring two couples who have been part of the church here in Halifax for 50 years. 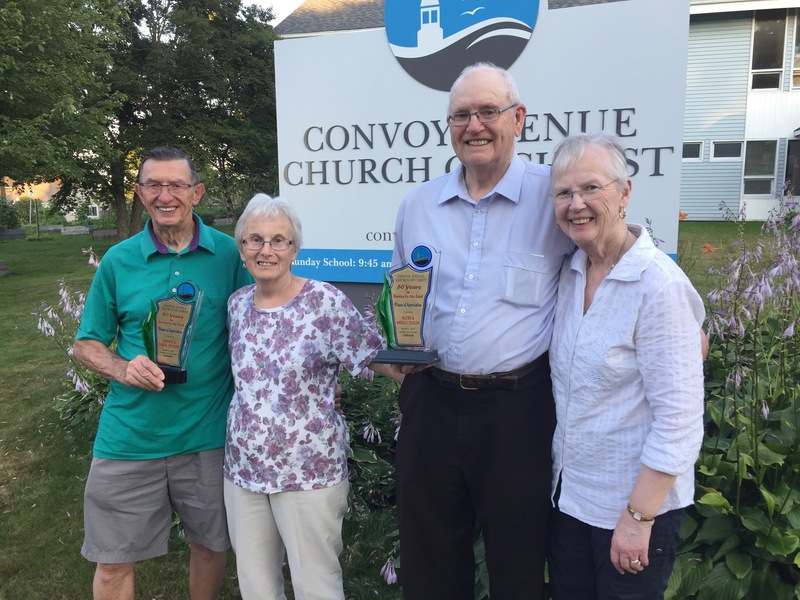 Dennis & Carol Peters and Wayne & Shirley Taylor were acknowledged for “50 years in service to the Lord.” They have been members of the Convoy Avenue Church since it was established at this site in 1967. In his message, pulpit minister David Cariaga described the challenges we face as Christians to serve our unchanging God in a world that is constantly changing. We are so proud to have examples of such faithfulness in our congregation as the Peters’ and Taylors’.